Ustilago esculenta is a fungal endophyte of Zizania latifolia that plays an important agricultural role in this vegetable crop. The purpose of this study was to characterize sporidial (T) and mycelial (M-T) strains of U. esculenta isolated from sporulating and non-sporulating galls on plants growing in Zhejiang province, China. Morphological comparisons of the T strain and M-T strain were made by optical and scanning electron microscope observation. Genetic differences were examined by sequencing the ITS region of the fungus and examining differential protein expression by two-dimensional gel electrophoresis and MALDI-TOF-MS/MS. 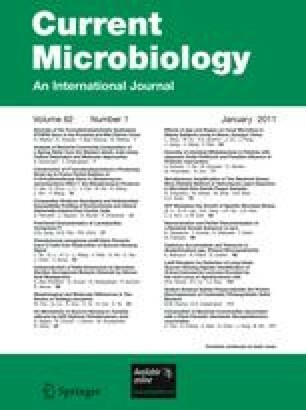 The sporidial (T) and mycelial (M-T) strains differed in morphological characteristics of their in vitro single colony formations and in cell shape. Alignment of ITS sequences of the T strain and M-T strain revealed a single mutation between the T strain and M-T strain, but the sequences were the same within strains. A total of 146 proteins were only expressed in the M-T strain, and 242 proteins were only expressed in the T strain isolated from infected plants. A total of 222 proteins were up-regulated or down-regulated in the T strain when compared with the M-T strain. Of these, 18 proteins were identified and eight were associated with processes involving energy metabolism and the cytoskeleton. Two morphology-related proteins, MAP kinase kinase and actin, were differentially expressed. The differences noted in the T strain and M-T strain may lead to a better understanding of the life cycle and morphogenesis in U. esculenta. Wenyu You and Qian Liu are co-first authors. This study was supported in part by “National Natural Science Foundation of China (30940018)”, Zhejiang Province Important Science and Technology Tackled Project (2004C22003), and Natural Science Foundation of Zhejiang Province, China (Y3090173).